GMC’s Denali sub-brand grew into something larger than General Motors expected, and it hopes Avenir mimics the same sort of success. To start, GM ensured it didn’t price Avenir out of the market, however, and the trims will feature lower premiums than Denali-branded vehicles from GMC, according to Automotive News. The “high expectations” for the Avenir sub-brand come from the top of the automaker after CEO Mary Barra said Avenir could command higher margins and transactions prices akin to Denali. She said Denali vehicles account for 30 percent of GMC’s total retail sales in the United States. With prices 43 percent higher than base model GMCs, Denali remains a cash cow. Buick won’t place identical premiums on Avenir to start. 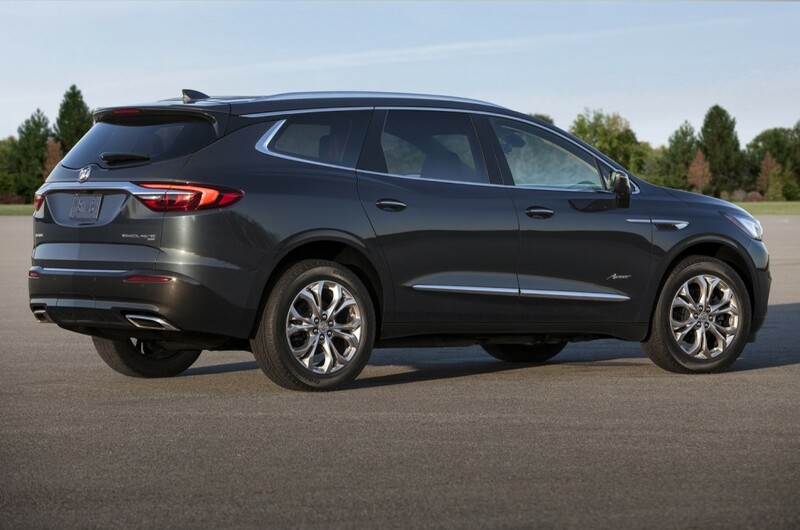 The first Avenir-branded Buick, the 2018 Buick Enclave Avenir, starts a $54,410, which represents a 33 percent higher price than its base model. It’s 11 percent, or $5,400 more than the next closest trim, the Premium. The 2018 Enclave Avenir includes such niceties as unique grille, 20-inch pearl-nickel wheels, rearview camera mirror, power-folding third-row seats and more. The design cues found on Avenir-branded cars are meant to channel the Buick Avenir concept, which the brand showed at the 2015 North American International Auto Show. Buick previously said not every vehicle in its lineup will receive an Avenir trim, but recent reports peg the 2018 LaCrosse as the next recipient. It’s safe to say all of Buick’s hot-selling crossovers will gain an Avenir variant eventually, however. So again, first we hear the LaCrosse is on it’s death bed, now it’s being upscaled. Which is it. Should we expect the same for it’s equally ‘I’ll sister the Impala? Let’s not get ahead of ourselves here, the Lacrosse is not on its deathbed. There are unconfirmed rumors that the Lacrosse will not see another generation beyond what is currently on sale, which means that it will still be around for another 3-5 years before anything happens. If sales start to look up, it may still live on, or Buick may replace it with a completely different kind of car (Omega based?). The Lacrosse Avenir is coming anyway, as it was probably already in the works by the time the ’17 models hit the sales floor and promptly stayed glued there. Maybe it will be the spark they need? And just who do they expect is going to be stupid enough to buy this marketing bull sheep? Buick is currently running television ads discounting Enclaves over $10,000 or 20%. Now, the bright idea is to change the grill and put in a rear view camera and raise the price 33%? While these world class designers are at it, maybe they could make the fake wood look less fake. I just read an article on GMInsideNews that the LaCrosse will receive the Avenir trim for this model year . GM currently has a full year of unsold 2017 models in inventory at last report . This is why GM is in trouble with a heavy load of cars they can’t sell because they mis-read the public’s interest in SUV’s . Now they want to waste money trimming a car more upscale that collects dust on dealership lots . It will probably be a nice car but just who is going to buy these , like the article said not all vehicles would receive Avenir trim , well the smart thing would be to skip the LaCrosse that they plan on killing soon anyway . I became a member at GMI probably close to 15 years ago. I quit going there about 2 years ago because it became overrun with haters, especially that bald Merc guy from SF. GMA has become the top GM website in the world because the haters have not overtaken it yet. My suggestion to you is to stop spreading your hate here and go back to GMI. I don’t think they will kill the LaCrosse as long as it’s selling 5000 units a month in China. As poor as sales figures are, I think the Buick brand needs a big sedan to anchor it even here in the US. The truth is, this is a very good looking car. When its seen on the road it elevates the brand, even if people end up buying the CUV. Well first of all all I was doing was sharing the facts . Every car I have ever bought has been a GM vehicle and that continues today . There was no hate in my opinion at all , and have been on this forum since it started and only occasionally do I read GMI and I’m not even registered there to give comments . Most of my opinions on this forum are very positive , and I believe GM is making a mistake I express that , that has nothing to do with hate . If you cannot accept the truth then maybe you shouldn’t be on this forum as I have read much more ” haters ” of GM than myself . It sounds as if some of the hate you claim to have been a part of for 15 years has followed you to this site . This forum is to discuss everything GM , not to be a troll with nothing to add to the discussion but your personal expressions of those of us that make this a forum a place to learn and share ideas . Did you even have anything to add to the discussion of GM’s expectations ? Be it positive or negative ?